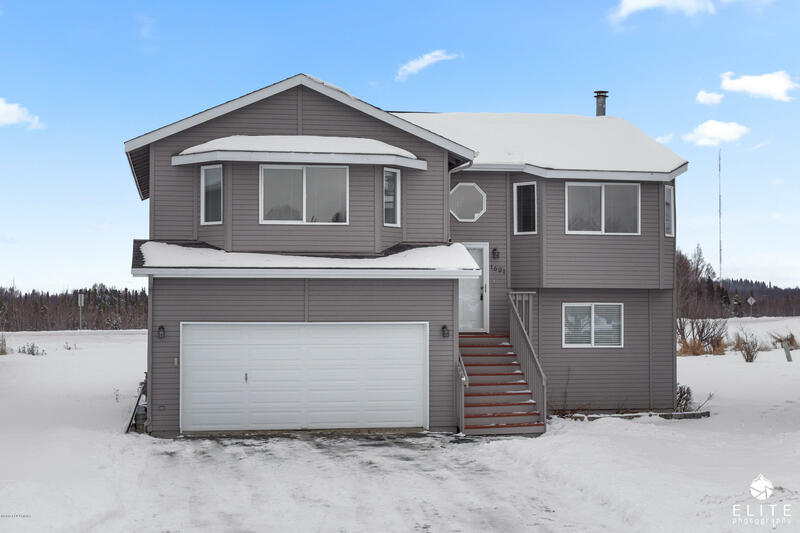 Beautiful home in a desirable neighborhood in South Anchorage! Open concept with vaulted ceilings, large kitchen with extra storage, 1 master bedroom and den upstairs and 2 bedrooms down with large family room. Lots of natural sunlight with gorgeous mountain views. Adjacent to Pioneer Park and on a cul-de-sac. Landscaped in the front with flowers. Minutes away from shopping, schools and parks.